TAMPA, Fla., August 09, 2018 – Burr & Forman LLP announces the addition of Tampa-based associate Patrick Reid, who joins the firm’s Intellectual Property and Cybersecurity Practice Groups. In his practice, Reid assists clients in developing strategies to identify and protect inventions and technology, and to defend their associated rights, as necessary. Reid has more than 100 U.S. patent applications, 83 issued utility patents, 31 issued design patents and 126 federal trademark applications, including 61 registered federal trademarks. He served as an associate trial counsel in several federal litigations, and has experience performing infringement analysis and briefed decisions in case law. Reid is admitted to the United States Patent and Trademark Office. 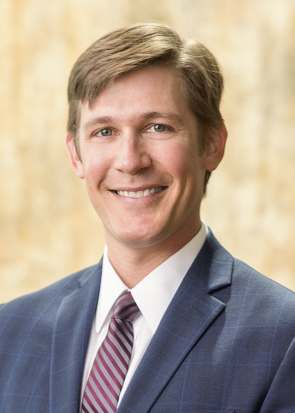 He is actively involved in the American Intellectual Property Law Association, Emerging Leaders of Tampa Bay of the Greater Tampa Chamber of Commerce, the Hillsborough County Bar Association and the Jesuit Bar Association. Reid earned his undergraduate degree from the University of Florida and his law degree from Stetson University. For more than a century, Burr & Forman LLP’s experienced legal team has served clients with local, national, and international interests in numerous industry and practice areas, ranging from commercial litigation and class actions to corporate transactions, including bankruptcy and restructurings. A Southeast regional firm with 300 attorneys and 12 offices in Alabama, Delaware, Florida, Georgia, Mississippi, North Carolina and Tennessee, Burr & Forman attorneys draw from a diverse range of resources to help clients achieve their goals and address their complex legal needs. For more information, visit the firm’s website at www.burr.com.